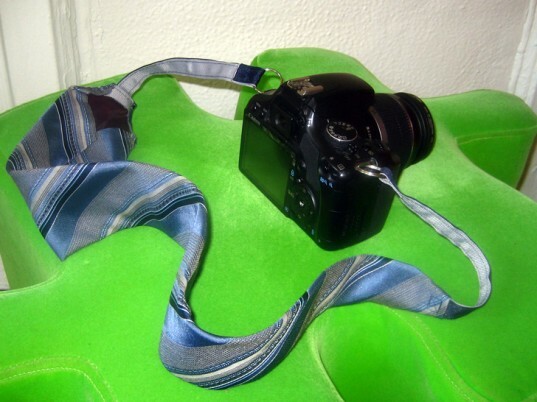 Give your camera the picture-perfect style it deserves by dressing it up with your favorite old necktie. Since the necktie is already stitched into a long strip, you’re already halfway there. By adding a few other pieces, you can easily remake your camera strap into a project that’s suit-able (get it?) for any occasion. 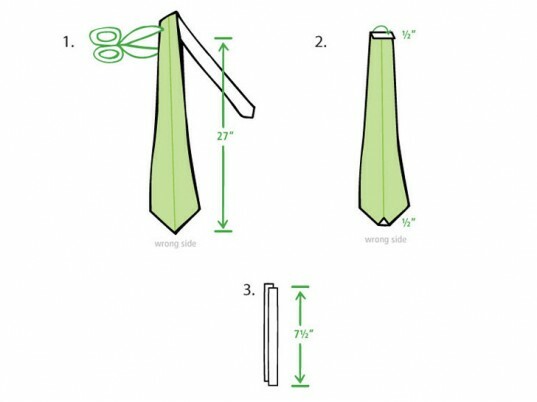 Start by measuring and cutting 27 inches from the tip of the necktie. Fold up ½-inch on both ends (one end will be cut and the other will be pointed). Then, pin and stitch in place. Cut two pieces of ribbon or webbing to 7.5 inches. Tip: If the ribbon or webbing is polyester you can burn the ends with a lighter to keep them from fraying. 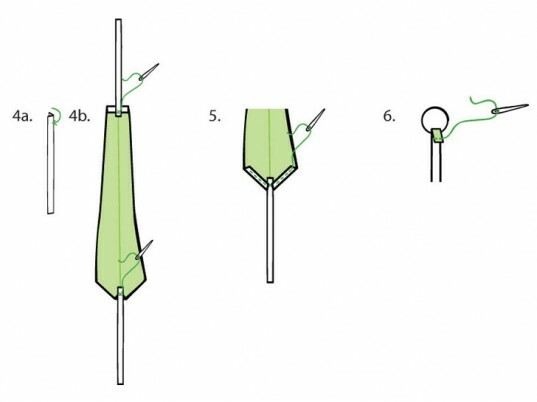 Fold the ribbon pieces in half lengthwise and overlay it by 1 inch on the ends of the necktie. Pin in place. Stitch a square with an “x” in the middle securing the overlapped pieces together. On both ends, fold up a ½-inch angled piece and stitch in place. Fold the open ends of the ribbon up by ¾ inch, covering one end of the keychain. Stitch the folded ends in place. Slide the keychain rings onto the loops on your camera. Slip your new camera strap over your neck and let your camera get down to business. The necktie-based camera strap is very attractive, but having two cameras drop from failures of more serious camera straps, I'd pass on this approach. The financial exposure is just too great. 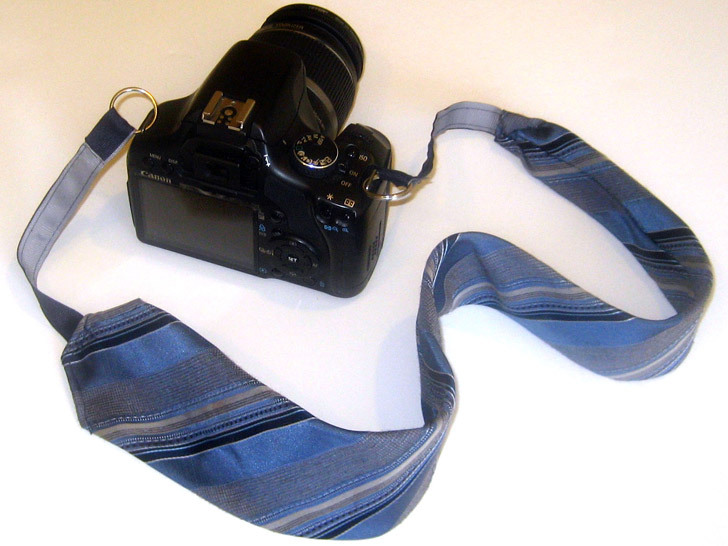 On the other hand, wrapping a really good camera strap with a tie to achieve a similar effect is very intriguing. I thougt the same thing about the strength of older ties. I am an old guy who still has my father's ties. Covering my secure strap sounds like a great combination of both ideas!